Mount Riley was founded in 1992, when owner John Buchanan decided to leave his job with the second largest winery in New Zealand to go back to his roots. 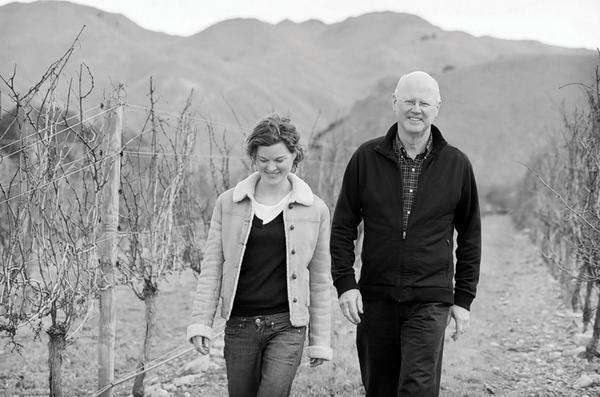 John is a fifth generation Marlborough citizen and Mount Riley is a true family winery; with John's daughter Amy managing winery operations and his son-in-law, Amy's husband, Matt Murphy as the winemaker. Matt was the winemaker at Craggy Range for 7 years before marrying Amy and joining Mount Riley. Amy was formerly a lawyer with a great career in both New Zealand and London but has been managing Mount Riley for the past 9 years. Unlike our previous not-to-be-named New Zealand winery, the intention for the winery is to remain firmly in family hands for generations to come. This is a winery that is worth investing in and so we have! Mount Riley owns 10 vineyards in Marlborough and the winery is five miles south of Blenheim. Each vineyard brings unique qualities and terroir to the Marlborough blend. The Anderson Block, planted in 1980, is the oldest vineyard and often produces some of the top Sauvignon Blanc from a stony terrace section. The Litchfield Vineyard, planted in 1986, is their largest and is essentially dry-farmed due to a high water holding capacity. The Dillon Vineyard, planted in 1996, has fantastic views overlooking the Richmond ranges and the eponymous Mount Riley (which is 1,314 meters high). This vineyard is planted almost exclusively to Sauvignon Blanc and has typical Rapaura soils of deep river, free-draining shingle and the grapes always exhibit a certain stony minerality. The Winery Block, planted in 2001, is perhaps the coolest vineyard, as the Pacific Ocean moderates the temperature coming from the east. Soils are silt loam and vines grow with relatively low vigor here. The Waihopai Vineyard, planted in 2002, is right on the western edge of the Marlborough winegrowing region and is the warmest site that they own. Only a small percentage of Sauvignon Blanc goes into the blend from this vineyard, but it sure adds an interesting component. The remainder of the vineyards are just coming online, as they planted some new ones in the early 2010s. Mount Riley also works closely with a select group of independent growers who are chosen not only for their ability to produce great fruit, but also because the family believes their vineyard sites add something special to the wines. Please see below for a fun cartoon map showing Blenheim and all of Mount Riley's surrounding vineyards, as well as Mount Riley itself. Wine Orbit 93 "It is intensely aromatic on the nose showing passionfruit, green rockmelon, grapefruit and sweet basil aromas, leading to a powerfully expressed palate that is juicy and lively. The wine offers terrific fruit purity, delivering loads of tasty flavours. At its best: now to 2020."